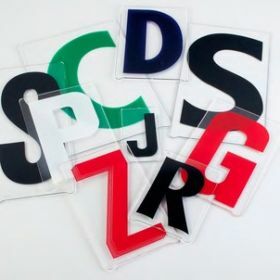 Our sets of 3 inch Modern Pronto letters and numbers will contain the most common assortment of letters and characters. Order one of our pre-packaged sets or individual Pronto replacement sign letters. Have you checked you sign that your sign uses rigid plastic letters and understand that these letters will not fit into a sign that flexible letters?